The Centers for Disease Control and Prevention (CDC) estimates that in the US, about 1 in 68 children have been identified with ASD. While the exact causes of autism spectrum disorder (ASD) are unknown, studies have looked at environmental factors and genetic as some of the factors that may be responsible for the rise in numbers over the past decade. A new study, that was conducted by researchers from Karolinska Institutet and Karolinska University Hospital in Sweden has also found that babies born more than 13 weeks prematurely run a serious risk of brain damage, autism spectrum disorder (ASD), ADHD and learning difficulties. When a baby is born prematurely it is stressful for the infant, which can cause issues with brain development. 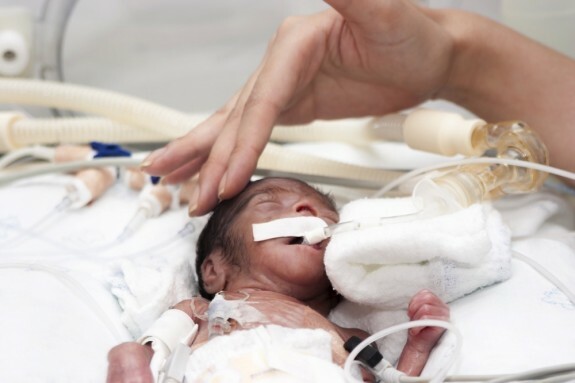 Micro-preemies also often experience intraventricular hemorrhages in the brain during, or after birth, which can lead to developmental delays later on in life. The current study, which is published in the journal Cerebral Cortex, examined over 100 babies who had been born extremely prematurely(before week 27). With their parents’ permission the team studied the growth of the babies’ brains using magnetic resonance imaging during the neonate period, and then screened the children for autism characteristics when they had reached the age of six. It was more common for the children to have developed ASD if there had been complications during the neonate period, such as surgery. Already in the neonatal period, long before the children had manifested signs of autism, differences could be observed between the extremely preterm babies who went on to develop ASD and those who did not, with diminished growth of the parts of the brain involved in social contact, empathy and language acquisition – functions that are impaired in autistic children. Kourtney Kardashian Shops With Her Crew!